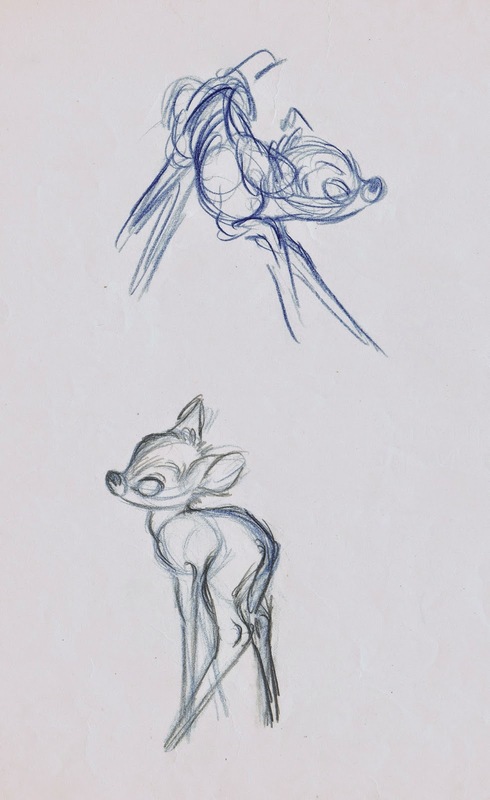 Milt Kahl and some of his colleagues had a way of drawing and animating characters that seem to inhabit real space. Individual parts of the body connect organically, and there is a flow from one form into another. A full understanding of the character’s anatomy as well as perspective is the key to achieving this type of dimensionality. 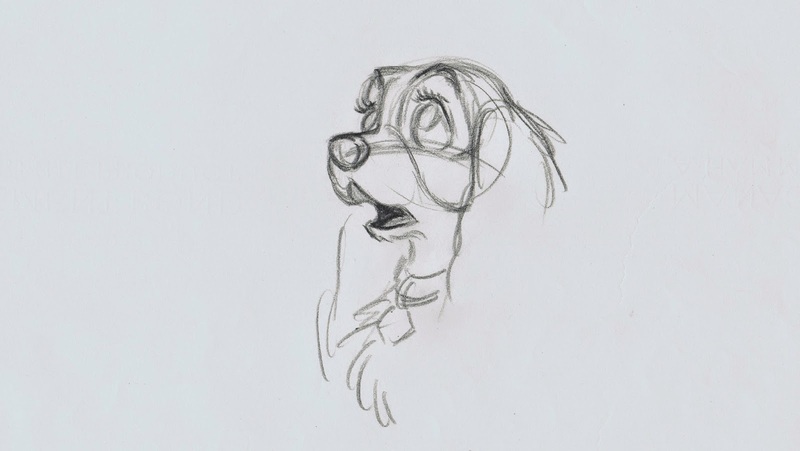 Rough drawings, like the one above, often indicate how the animator solved drawing problems. They also show where time was spent and effort put into carving out correct, believable and interesting poses. 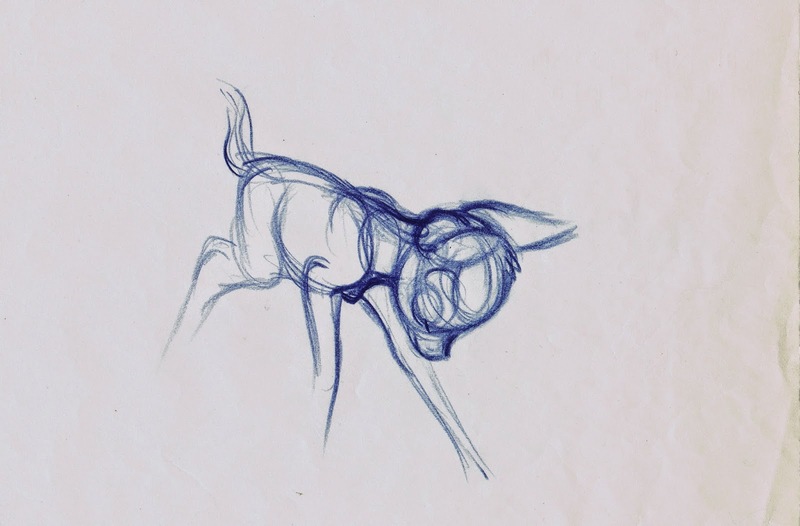 In this sketch Milt was concerned with Bambi’s head in a down position, and how it connects to the body. Fascinating brain work. 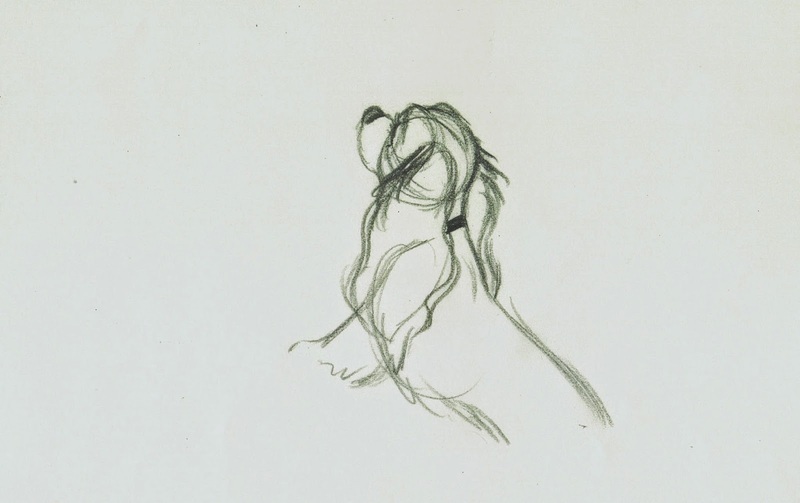 Lady’s head is a pretty complex arrangement of basic and very subtle volumes. Her eyebrows sit on dimensional and flexible muscle parts, and her eyelids and lashes overlap the eyeballs. Every line is put down to give a three dimensional appearance. 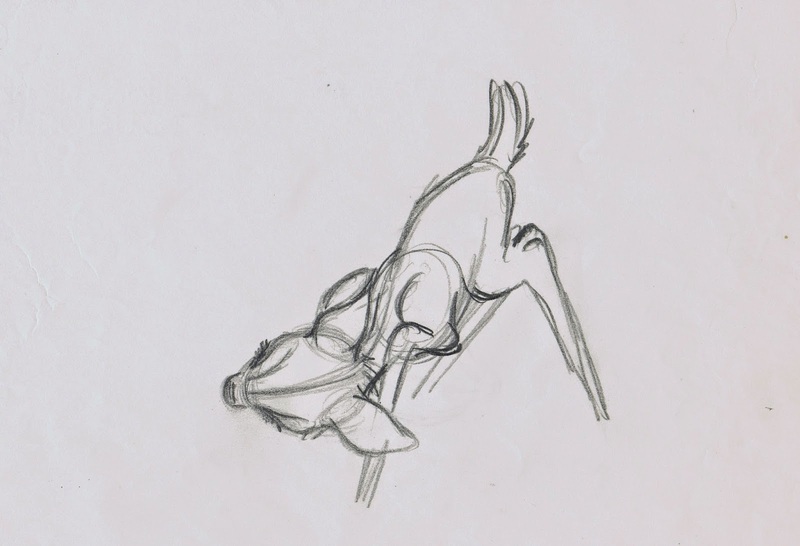 This 3/4 back view could look awkward or boring, but by figuring out the correct angle with all its subtleties it comes off as a beautiful drawing. Volumes in motion. What great rhythm from one form into another. A potentially complicated pose reads very easily instead. 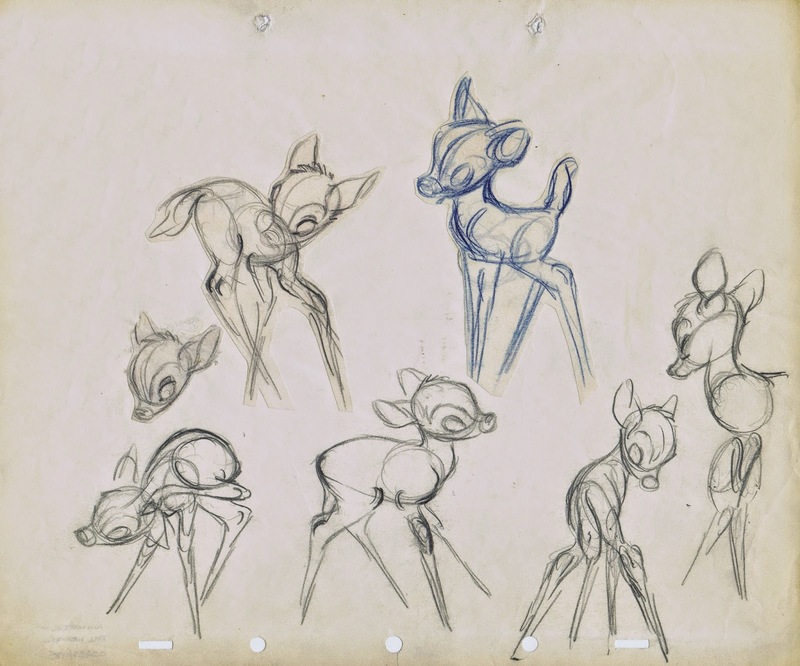 The arrangement of Bambi’s mother’s front legs could present an elaborate anatomical study, but Milt found the simplest solution to make it look natural and elegant. 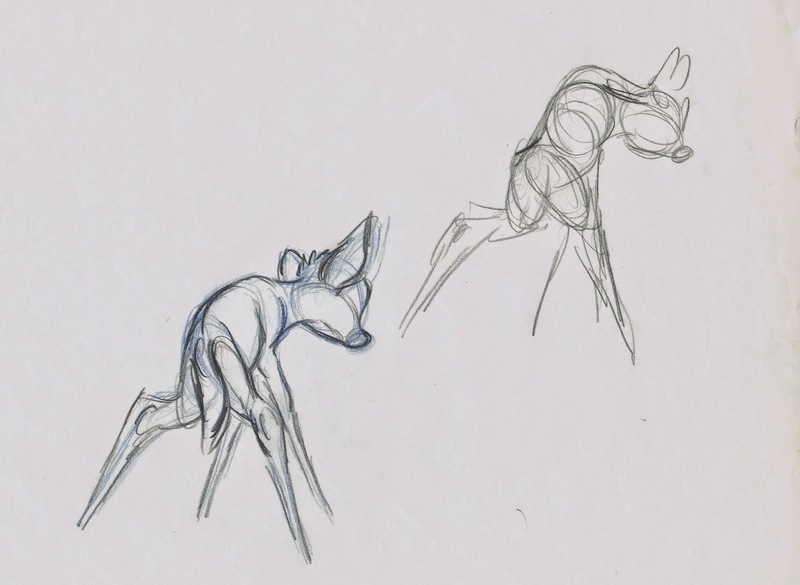 This doodle sheet shows great understanding of deer like, balanced poses. 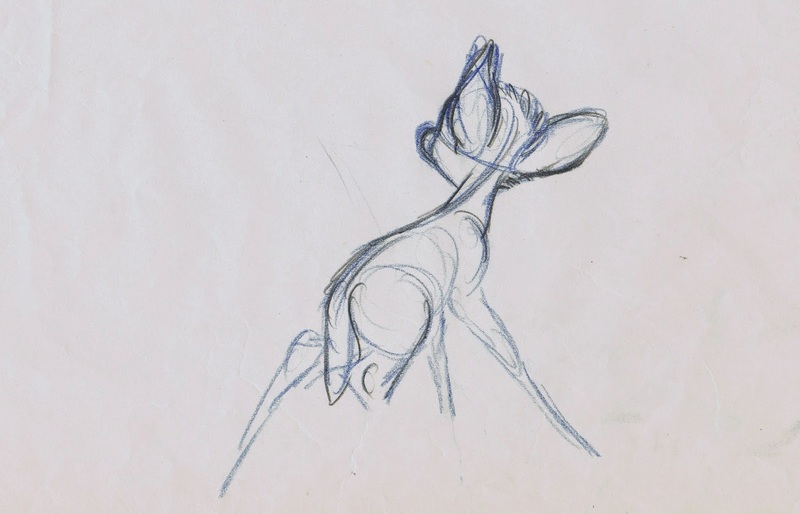 It looks like Bambi just caught his balance in this awkward, but beautifully designed figure. You can almost see the wobbly steps that would have preceded this pose. 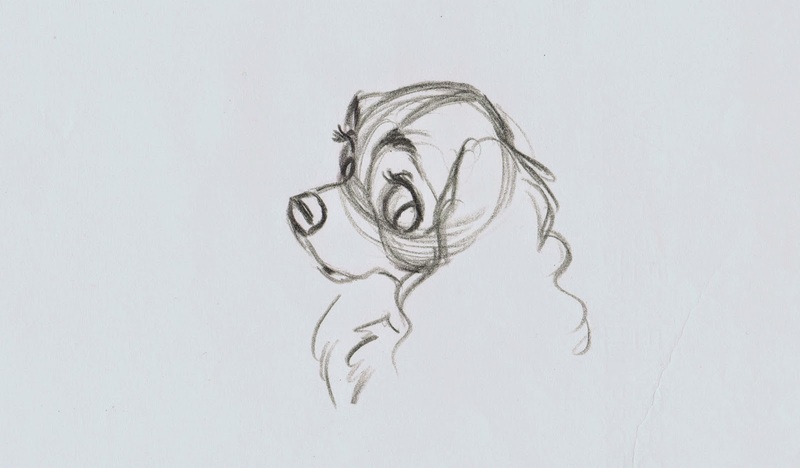 Any twist in the overall body or head turn is helped by the indication of the center line, from tail to nose. 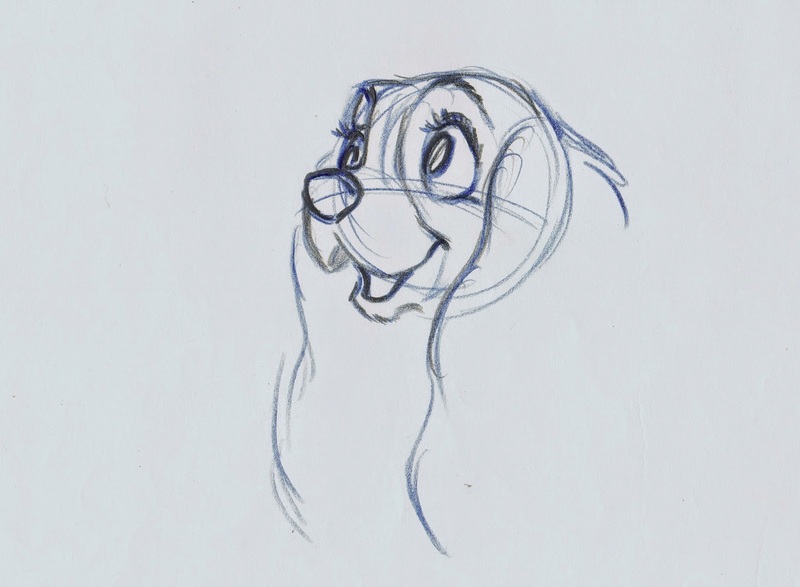 After animating in this rounded, sculpted style for a couple of decades, Milt and several others in the animation staff were ready for a change. 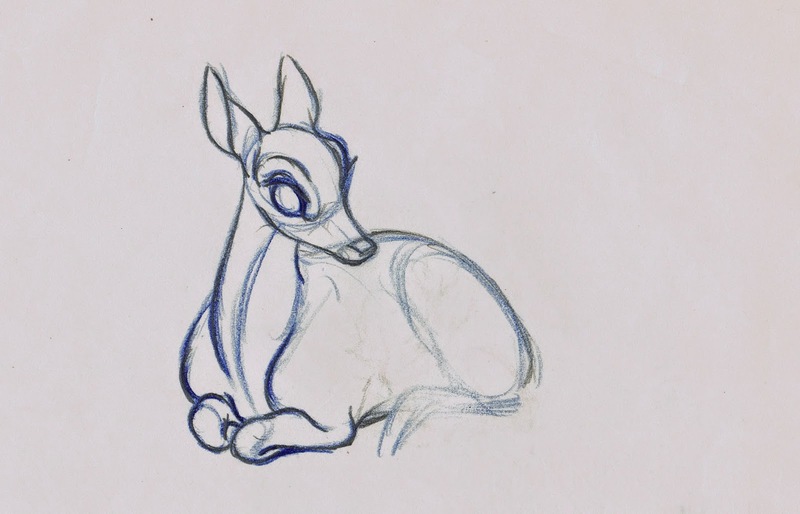 Films like Sleeping Beauty and 101 Dalmatians had the animators focus on line and shape to achieve a much more graphic representation of their characters.